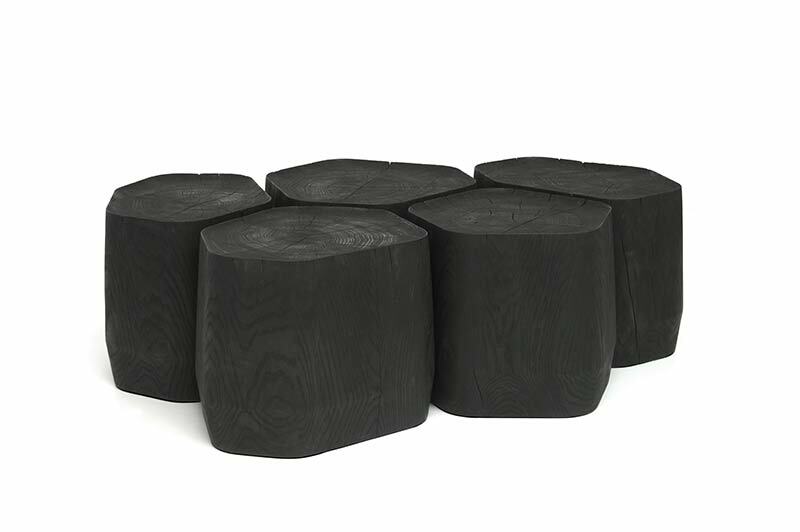 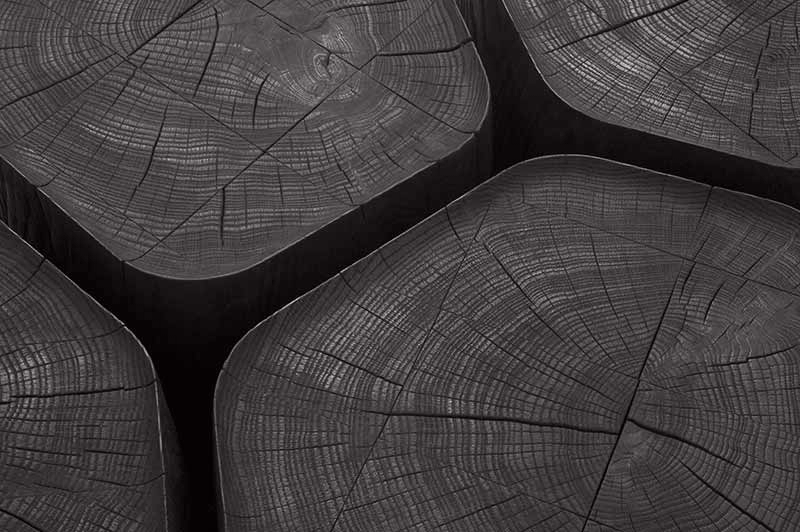 This collection of five scorched wooden coffee tables, called Basalt, is created from a single oak trunk, cut and reassembled to retain only the rings formed by the heartwood, the highest quality timber referred to as “perfect wood”. 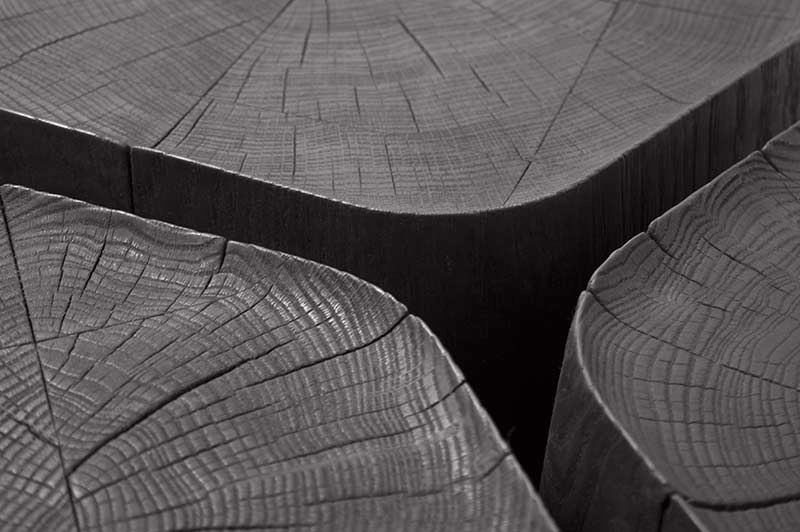 Each piece is hand carved, then its surface is scorched using a blowtorch. 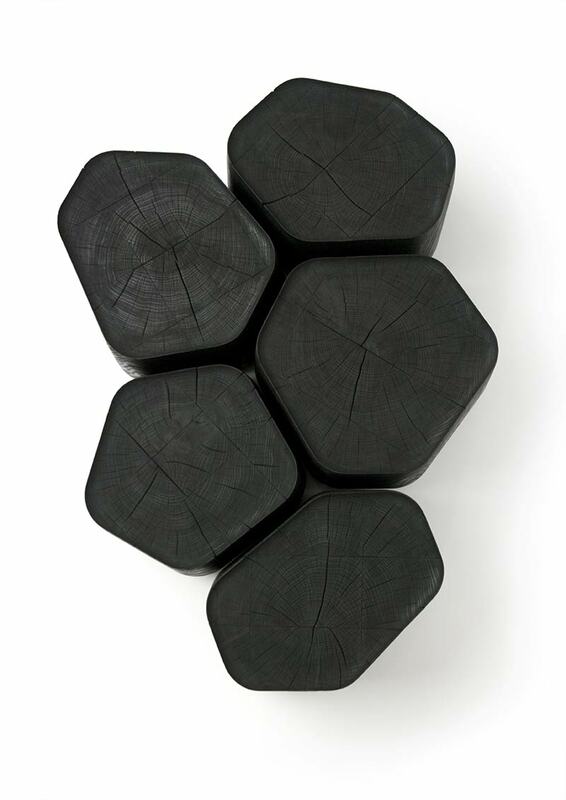 This finishing process gives a mineral dimension to the wood, revealing its nature and fixing it like a fossil.